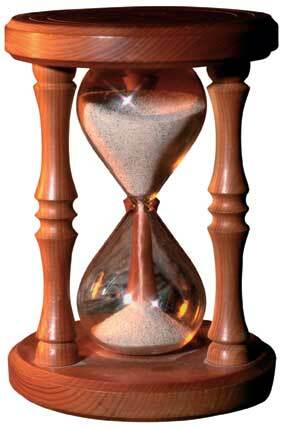 The Infinite Hourglass in Kingdoms of Middle Earth. It can do one task instantly and one task only. No matter how long…..although I did read one report that put the max time of it on 99 days in actuality. Now you might wonder what to spend this beast on? What is really worth its use? Most people will come to the conclusion of using it for one of the level 10 researches in your Academy. Ok, so what if you use it for troop production? Crazy you say! You never get to queue a training task that makes it worth to spend the Infinite Hourglass on! But you’d be wrong. So here’s the setup. This works best if you have just acquired your Second or Third city and still need to construct most of it. First, construct one barracks, but leave it at the level of the unit you want to train. Same with Stable/Armory/Forge; Construct ONLY WHAT YOU NEED! FILL the rest of your city COMPLETELY with Homes, and level them up as high as possible. Figure out what number you want eventually in that city; that number of homes can be HBC’ed and runed if you want. Homes have very low construction times, so this shouldn’t take TOO long. Queue the maximum amount of troops you want to train (unfortunately, this can only be one troop type–> 1 hourglass only). This task should take a tremendous amount of time! Now of course you use your Infinite Hourglass, and presto! You’ve put it to good use. Afterwards, just demolish a number of homes and replace them with barracks, and build up your city as normal. As to what troops to use, well, T1 means you can build more homes, but T2 and T3 are relatively much slower in training, making the hourglass much more valuable, but that’s up to you! This entry was posted in Articles, Blog, City building, Strategy and tagged city, construction, hourglass, infinite, kingdoms of middle earth, resources, third city, tier, training times, trick, troop training by beardmonkey. Bookmark the permalink. I have an alt (farm) account where I use this tactic. You don’t actually gain many troops or might. one barracks takes 2 days to train ~5000 t1 troops, it’s terrible, we all know that. have all lvl 9 homes and don’t recall the number of troops I was able to have the first time I did it, but it wasn’t much. I want to say it was around 240k might. There is a way to get it better and that is by getting a few more barracks at lvl 1 just for queue spots. 4-5 is probably ideal though I haven’t tried yet. Queue up as many troops as you can for each spot (it really doesn’t take that much rss). Queue up as many troops as you can on your wall as well. Before they finish creating, cancel them all and queue one big one, and use the hourglass on that. The idea is that you will be limited by the population, so when you queue up, and cancel a queue, you get a percentage of that population back, even if you’re at max idle population to begin with. Thus, you can queue larger numbers than you’d normally be able to.